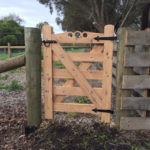 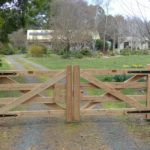 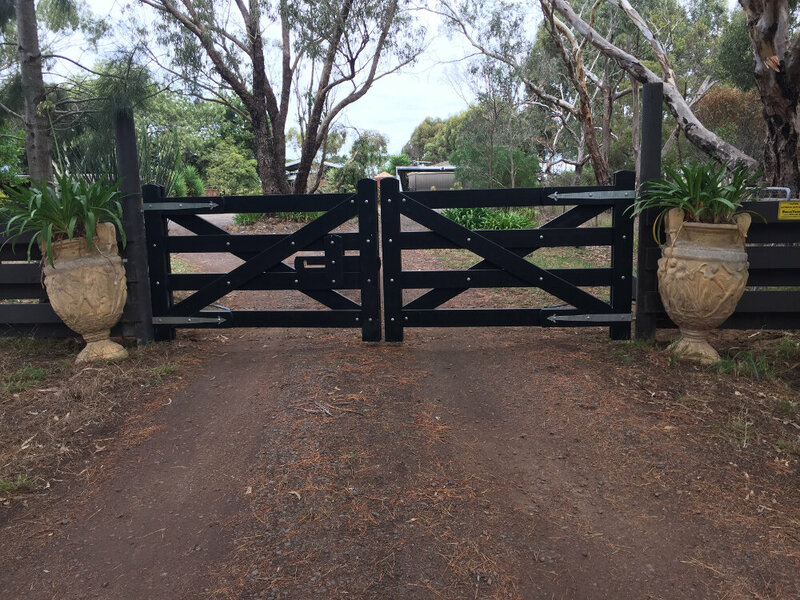 From farm gates to wooden garden gates, at Blackwood Country Gates we build them well and we know they will last for years. 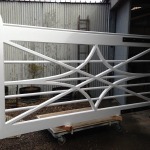 When it comes to crafting robust, attractive timber gates the devil is in the detail. 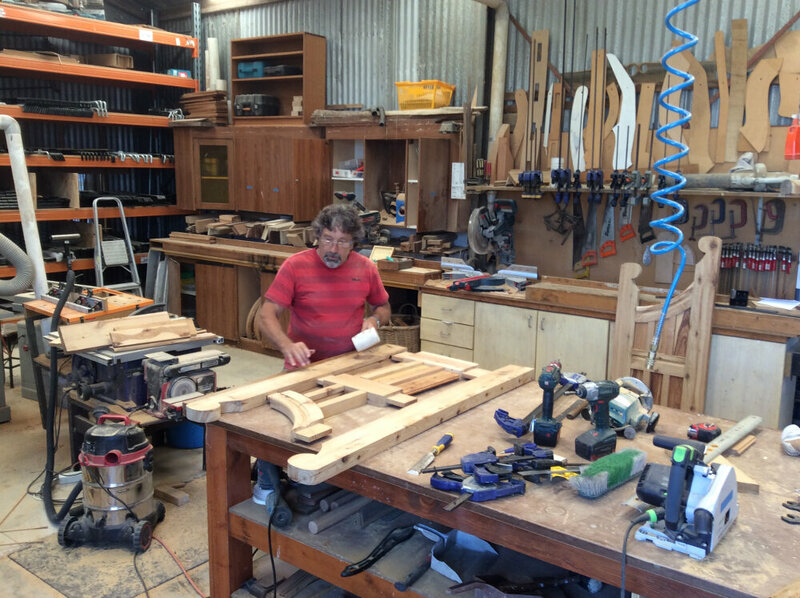 It’s all about making the right choices from the start – wood selection, style and size – and then using experience and skill to ensure every cut is precise, every joint is strong and every finish is just right. 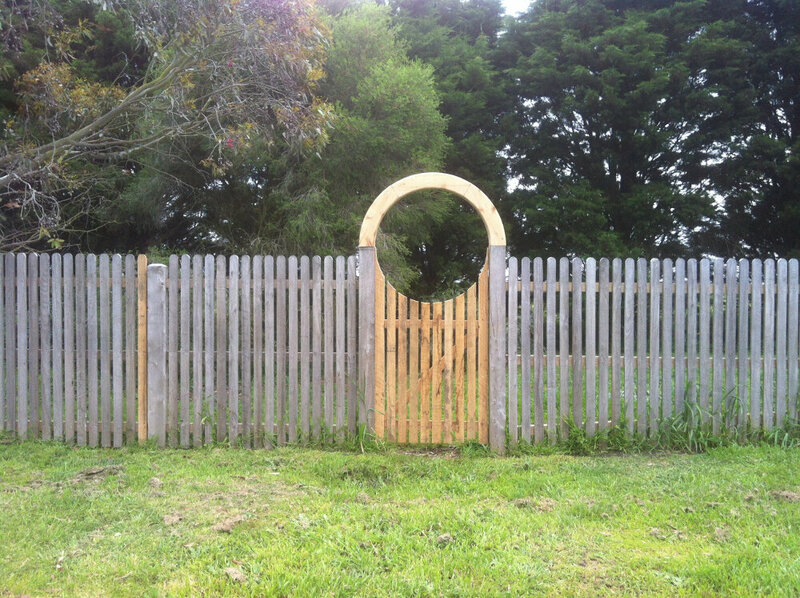 That way, everyone is happy. 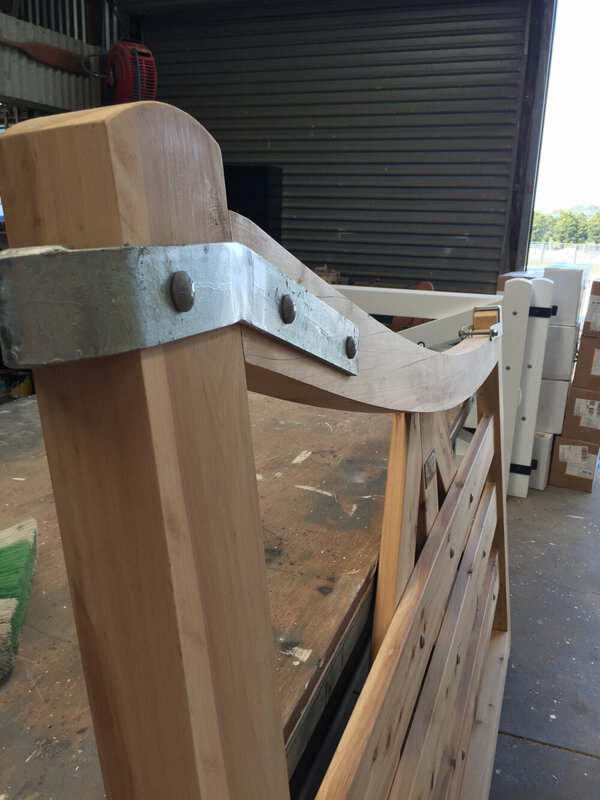 Our wood selection – which comprises recycled and new timber – includes wood such as Australian hardwood, oregon and cypress pine. 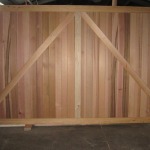 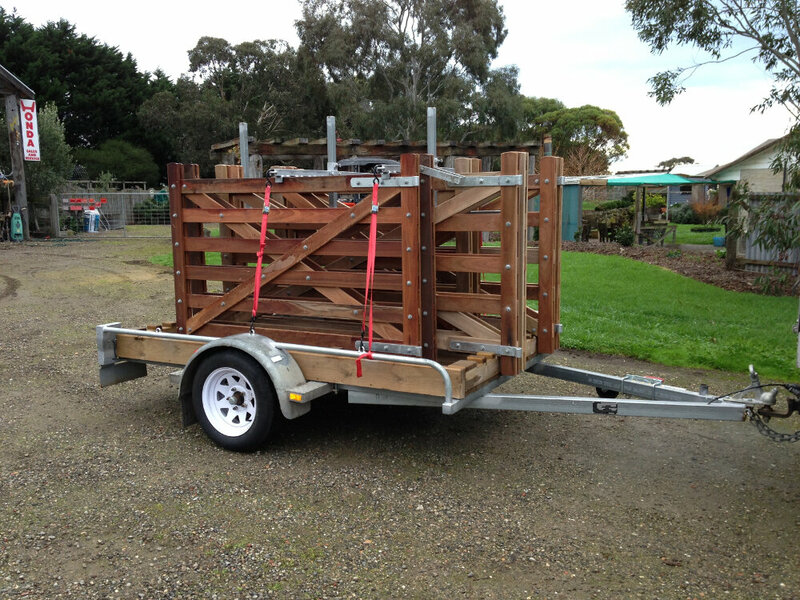 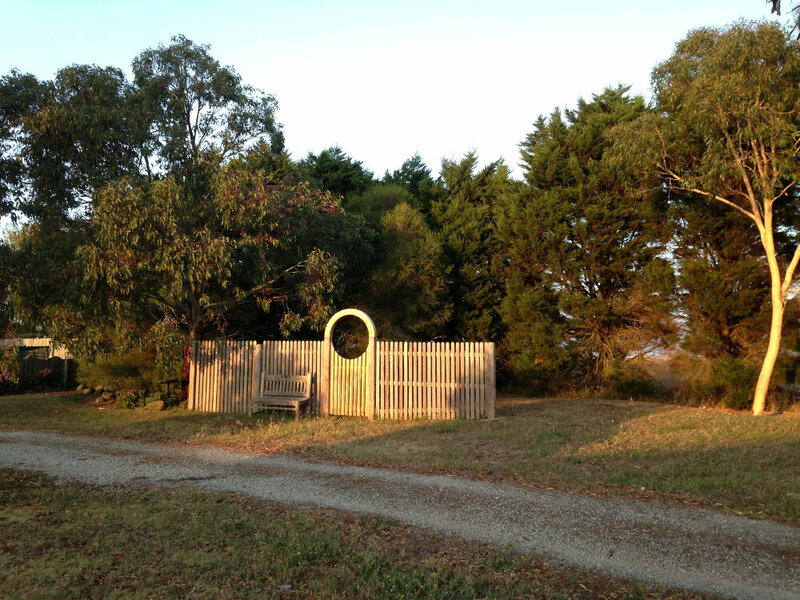 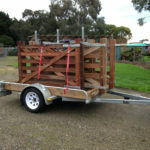 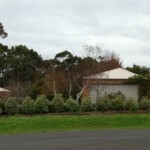 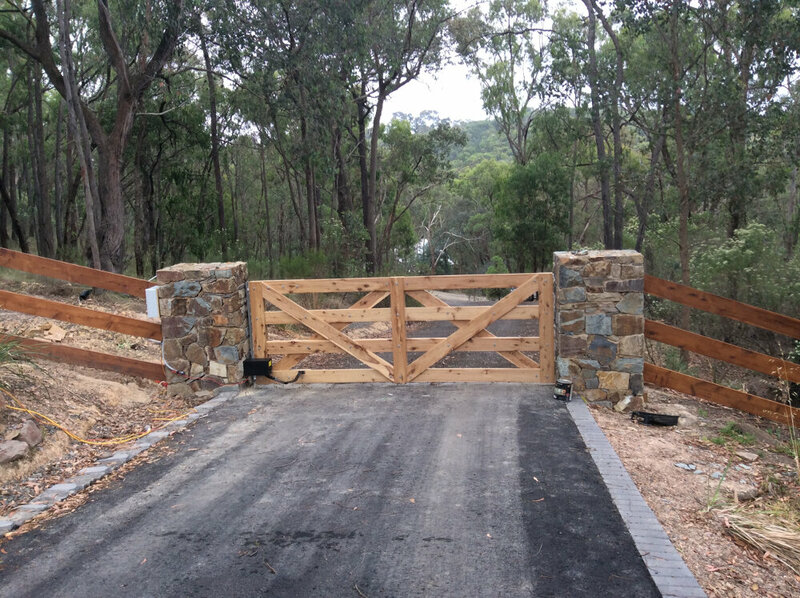 We also use Australian hardwood extensively, especially if you are after a farm gate. 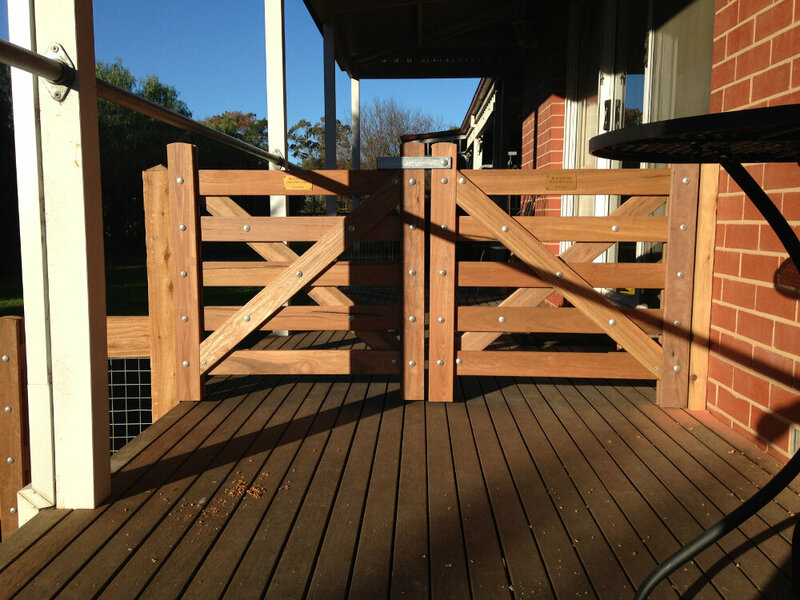 Australian hardwood combines the attributes of strength and durability and is not prone to rotting or warping. 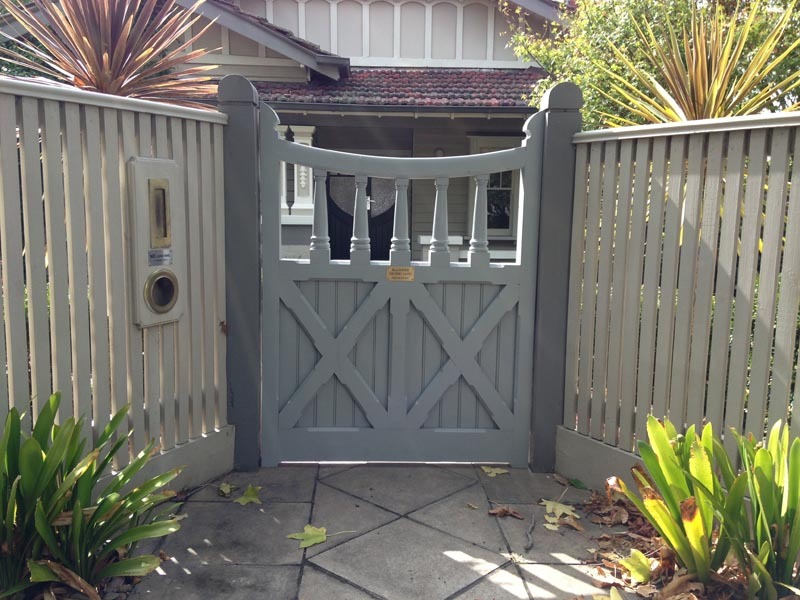 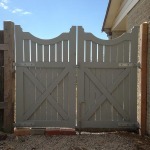 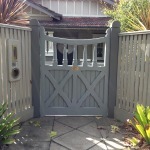 It’s important to know exactly how big your gate, or gates, need to be. 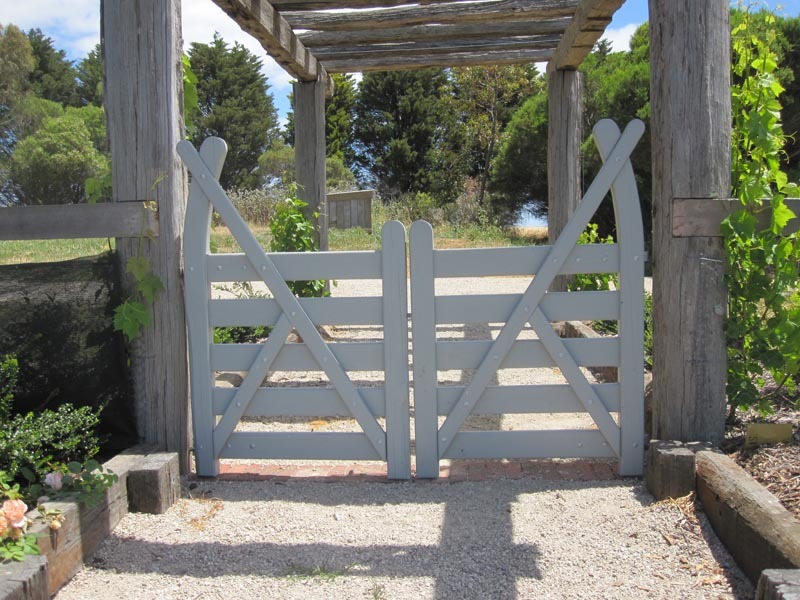 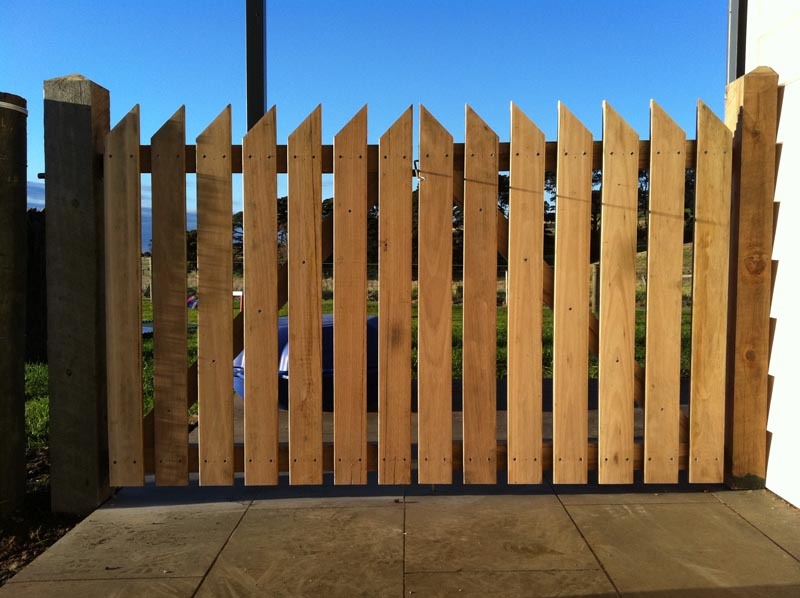 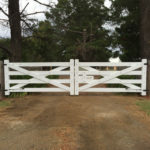 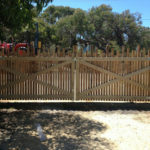 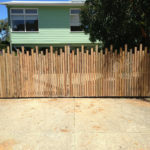 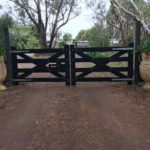 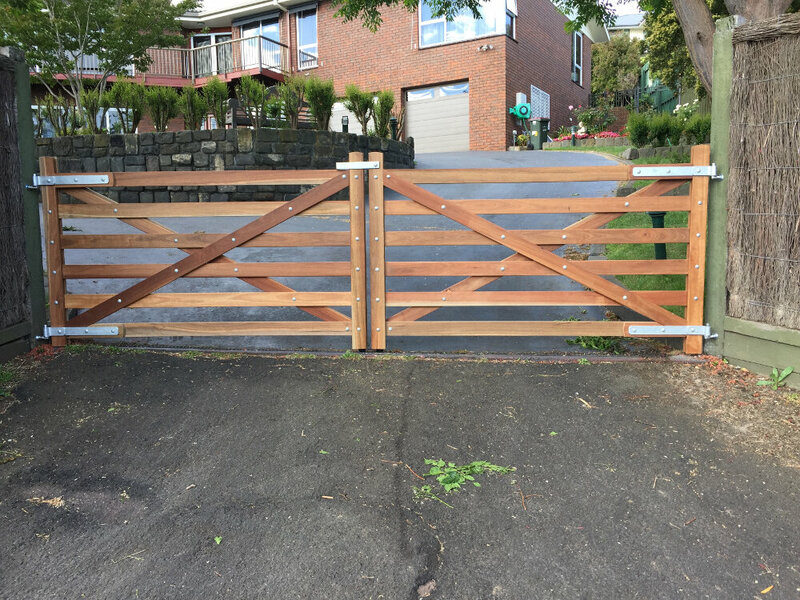 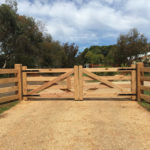 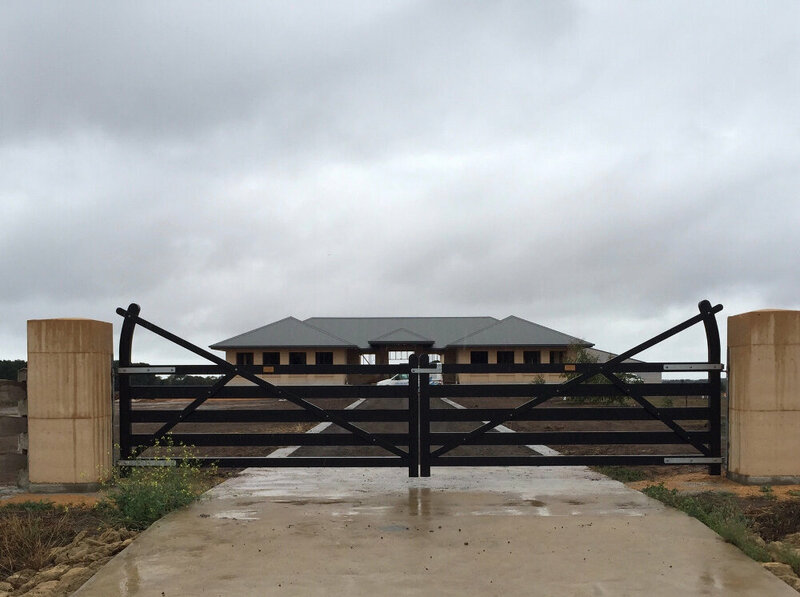 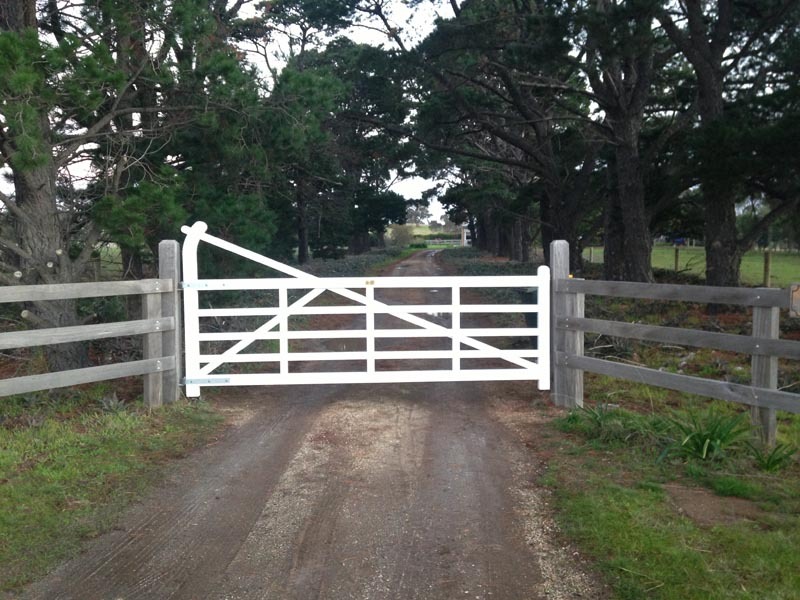 Do you want double custom-made gates at your property entrance with a total span of a grand 7.2 metres, which is our maximum size, or a small wooden gate into your garden that’s less than a metre wide? 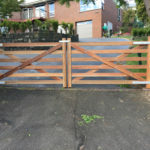 Perhaps you need steel gates? 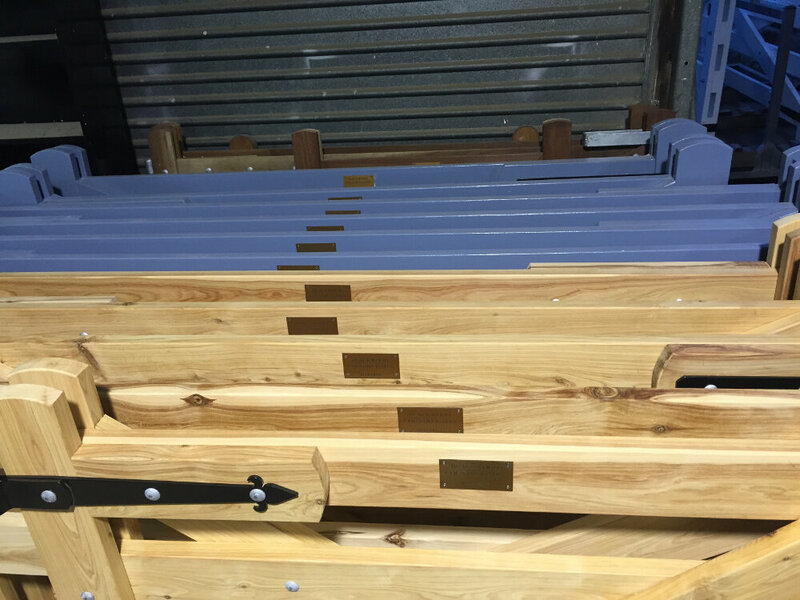 Well, we have you covered. 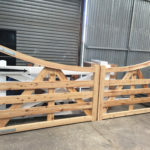 But we do advise clients to keep single gates no wider than 3.6 metres across and if the distance is greater, we suggest that double gates are a better option. 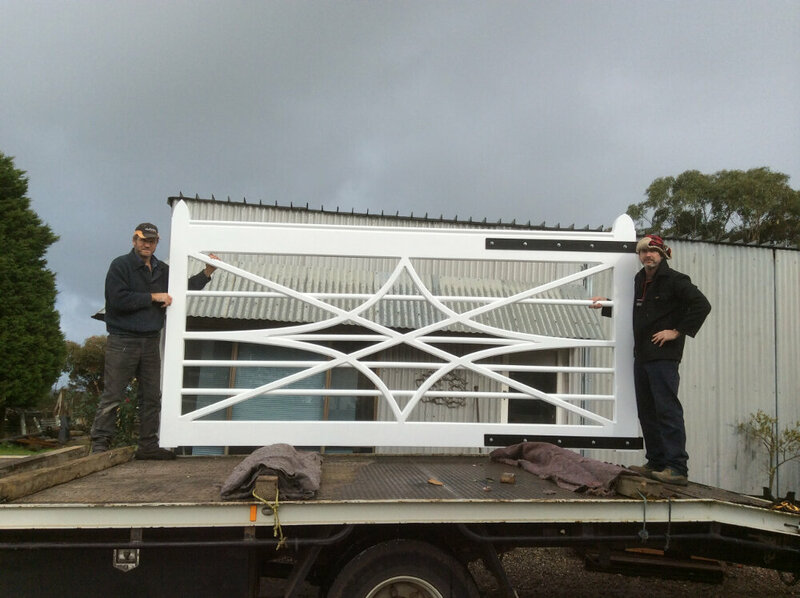 A custom gate in the making at Blackwood Country Gates. 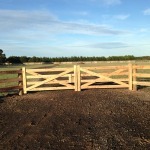 A double cross natural timber gate by Blackwood Country Gates. 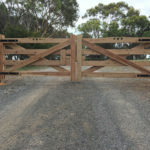 Custom made pedestrian gate by Blackwood Country Gates. 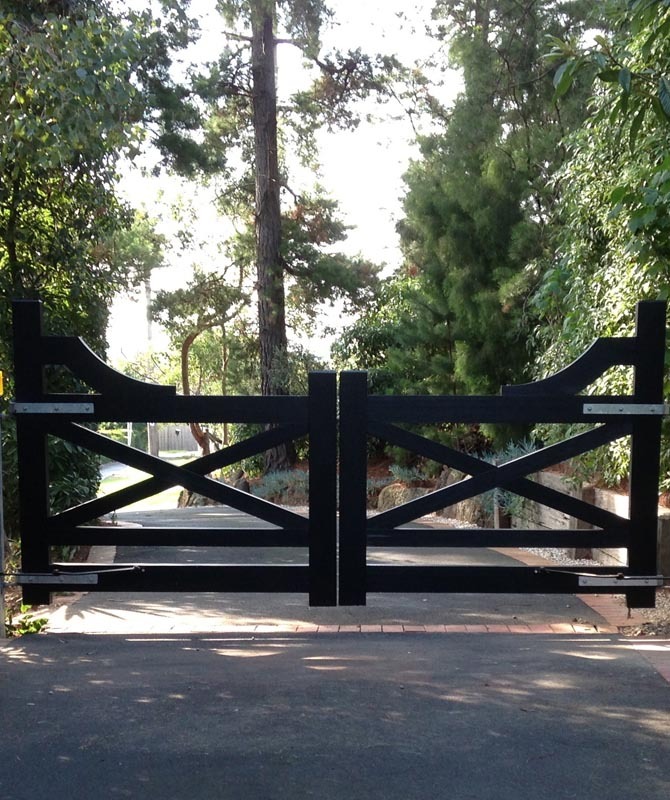 Tudor entrance gates made from light weight select grade oregon for this circular driveway. 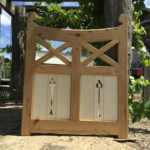 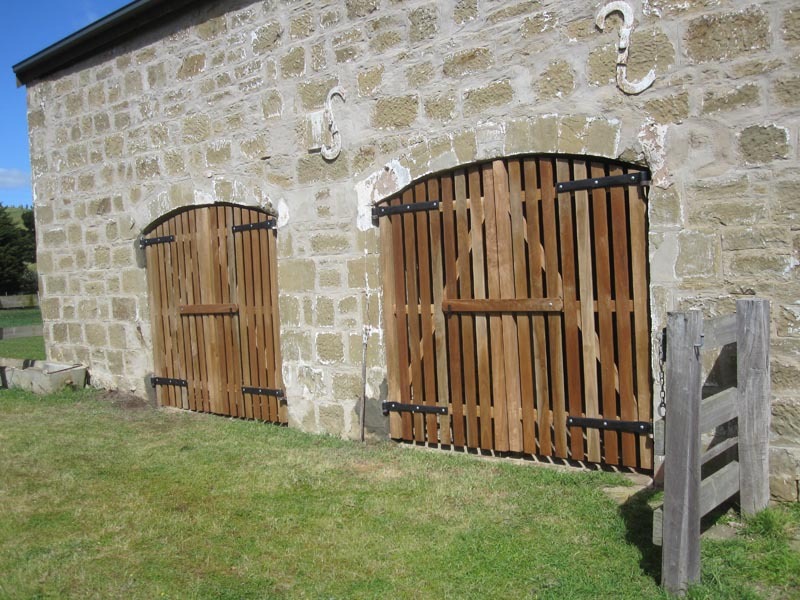 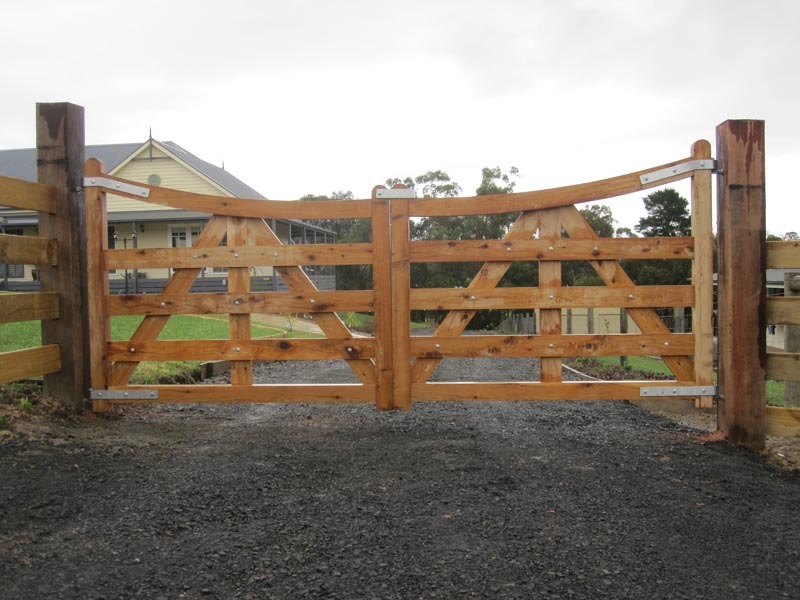 A Blackwood Country Gates’ curved heel double gate. 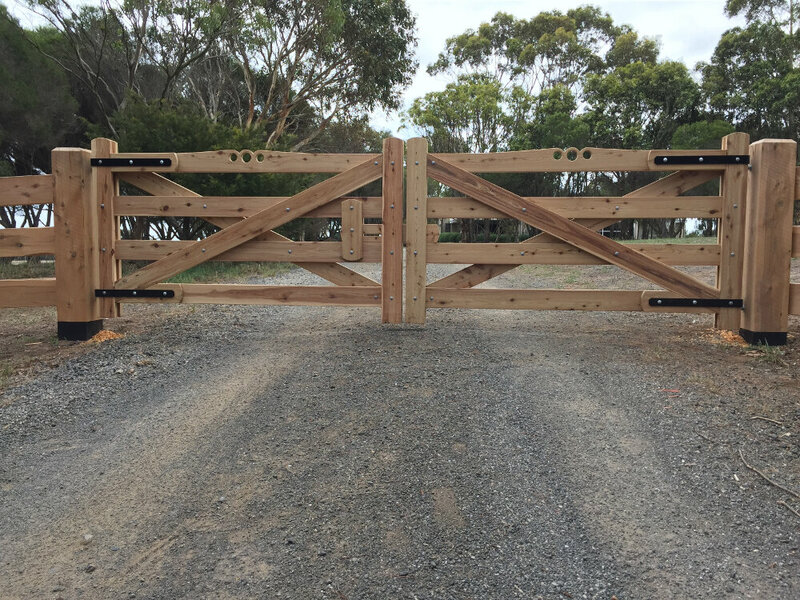 A single cross gate in natural timber. 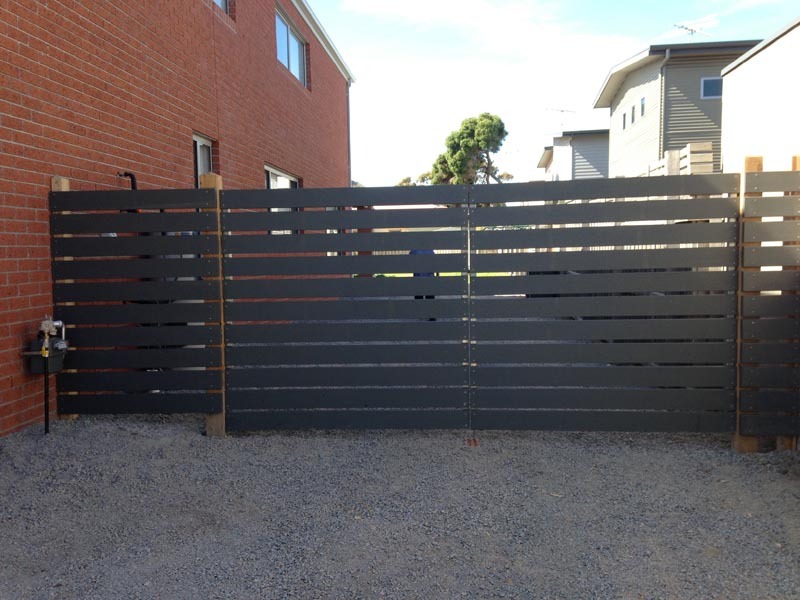 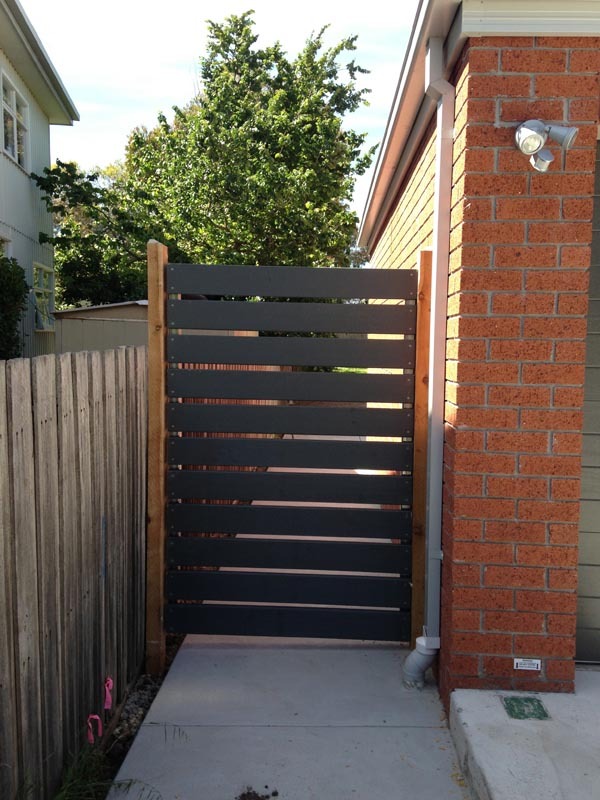 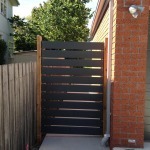 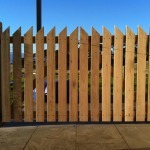 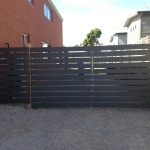 Contemporary steel frame gate with vertical slats. 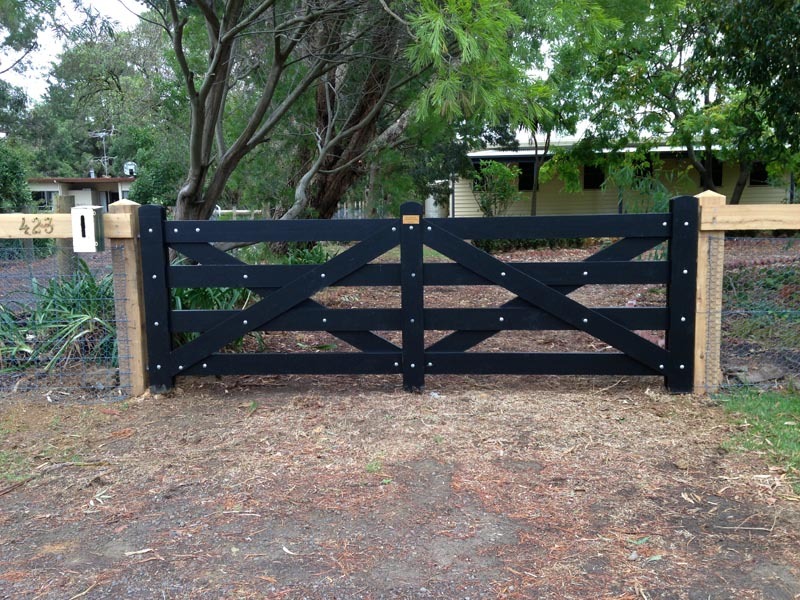 Double cross gate in black. 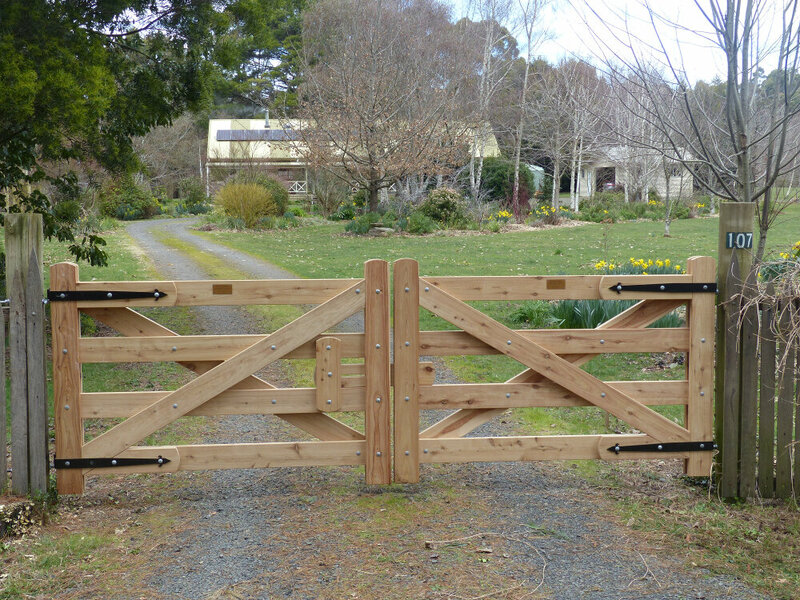 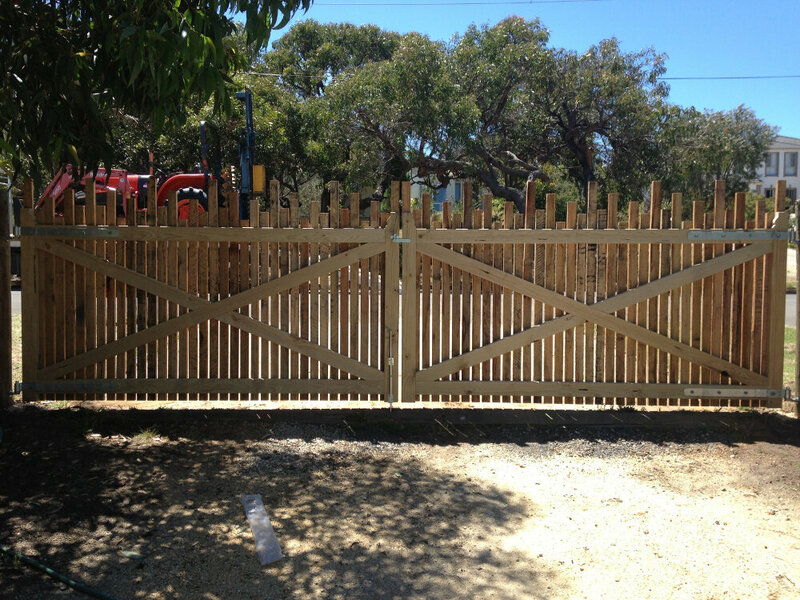 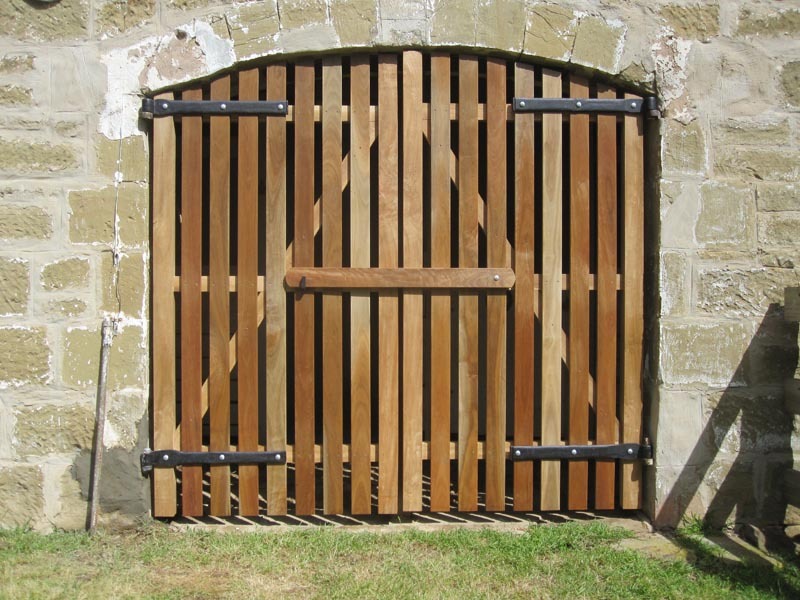 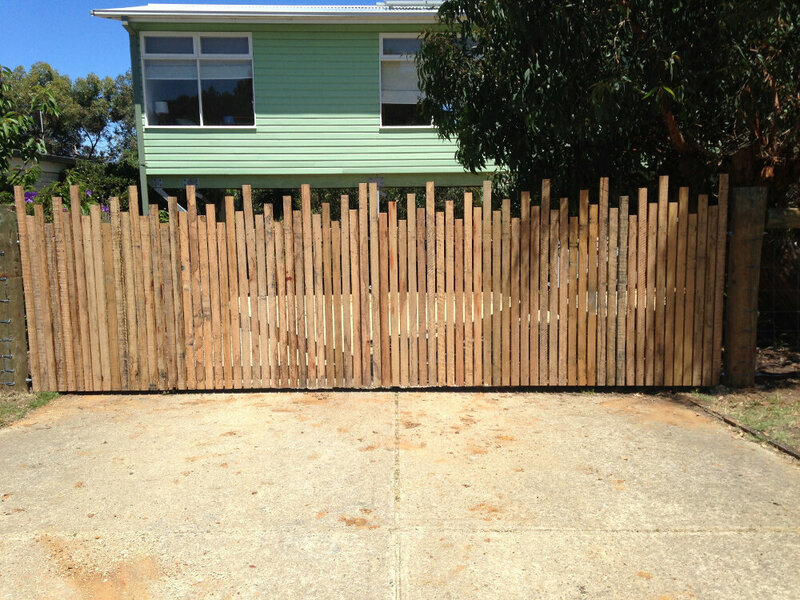 Single cross double gates from natural timber. 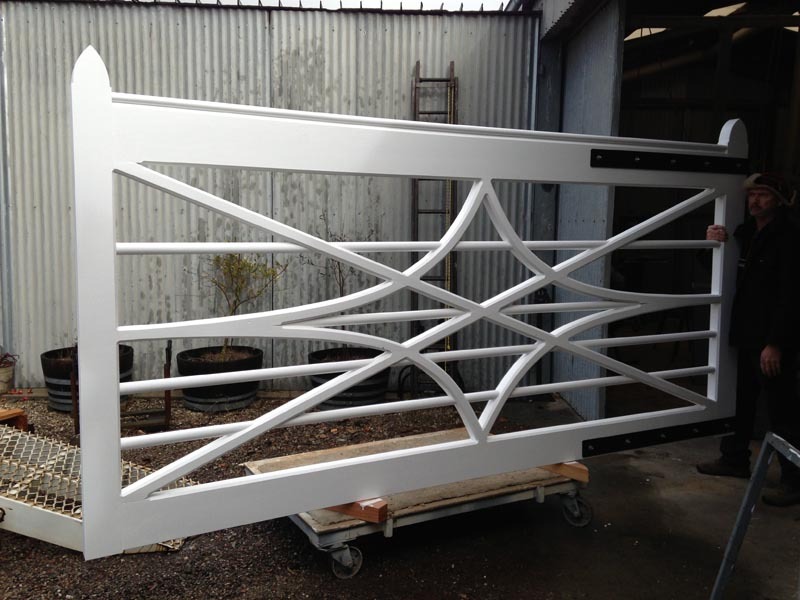 A selection of single cross gates. 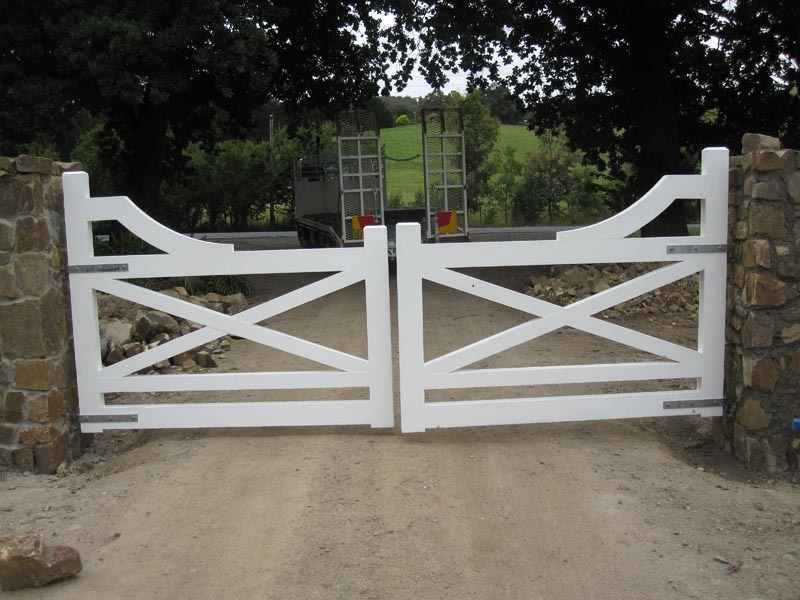 A single cross white gate from Blackwood Country Gates. 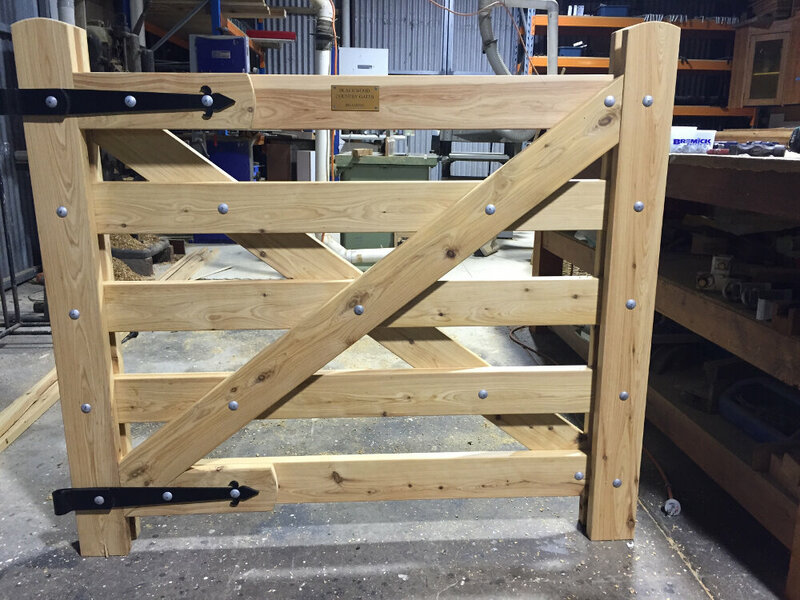 Blackwood Country Gates’ gate with angle double strap hinge. 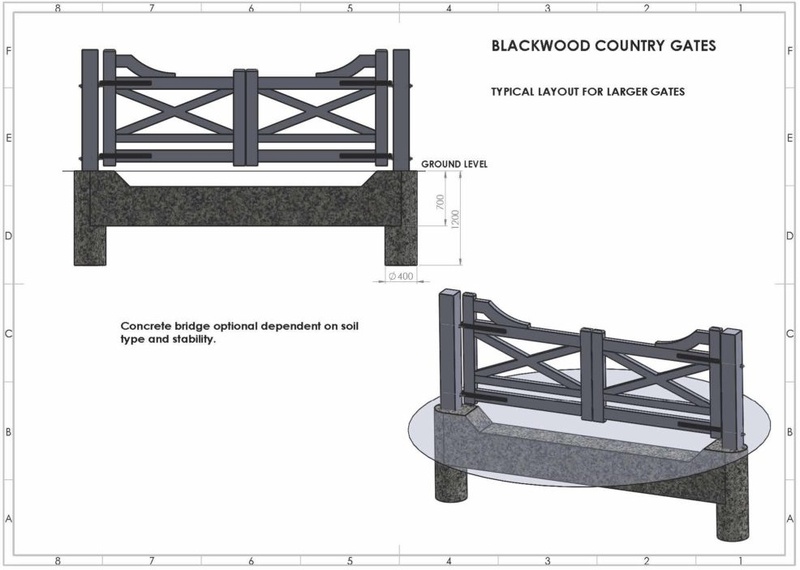 A curved heel gate in black. 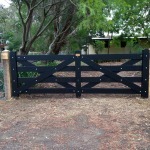 A Blackwood Country Gates garden gate. 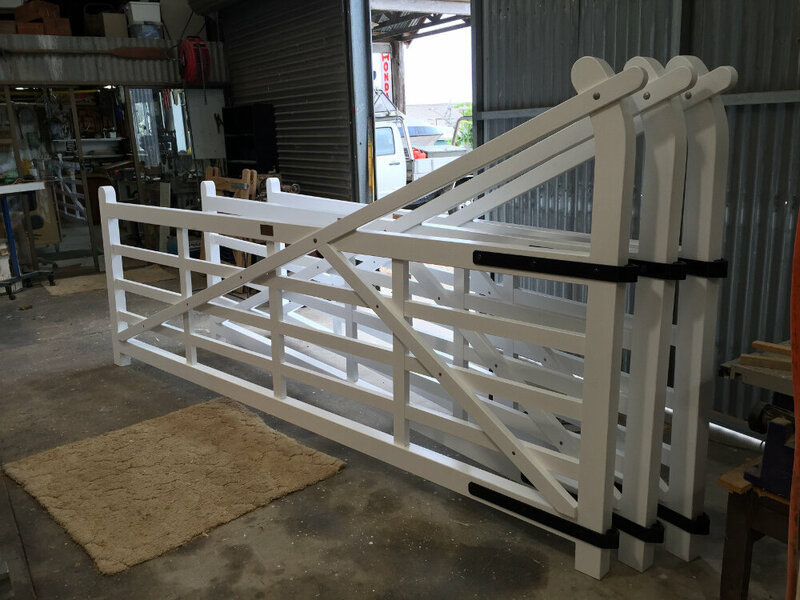 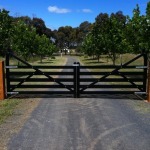 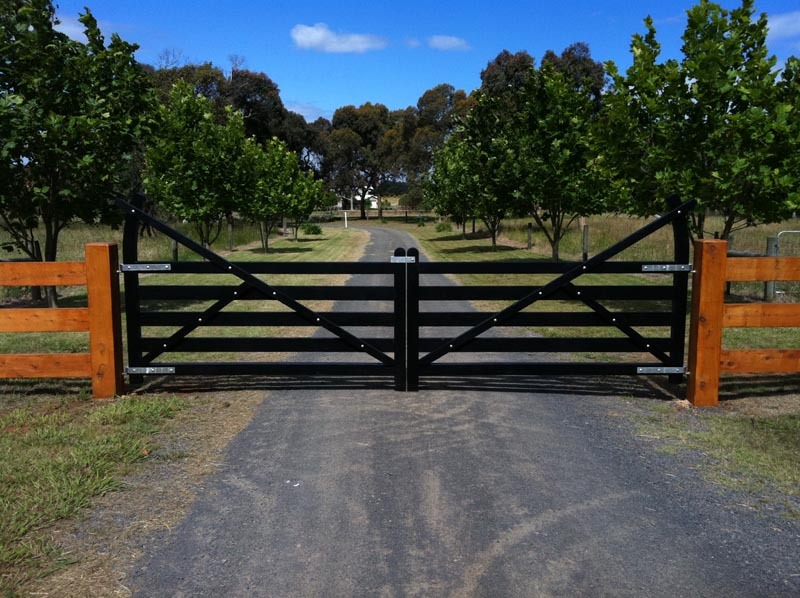 A custom-made pedestrian gate by Blackwood Country Gates. 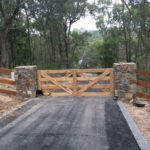 Another Blackwood Country Gates’ custom-made gate. 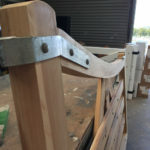 Another Tudor long gate getting ready for delivery. 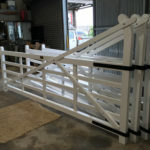 About to deliver a Blackwood Country Gates single cross gate. 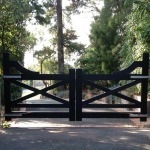 A double cross black gate with spearhead galvanised hinges. 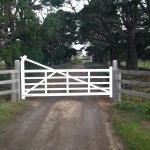 Double cross white gate with auto opening. 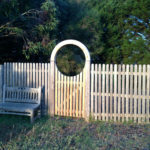 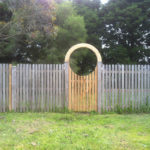 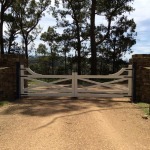 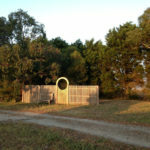 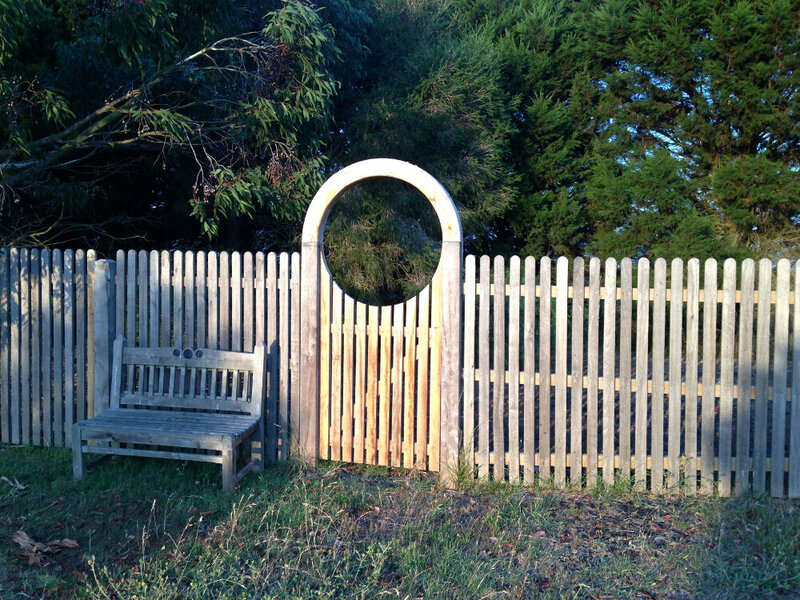 Blackwood Country Gates’ custom-made lunar gate. 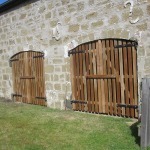 Blackwood Country Gates’ Pentille-style gate. 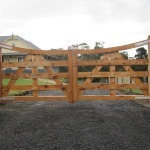 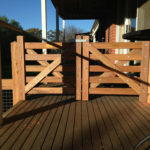 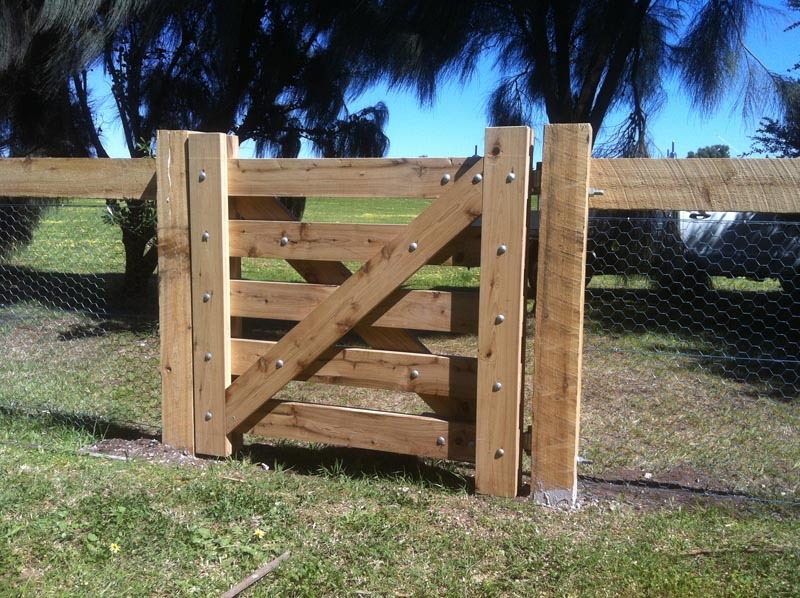 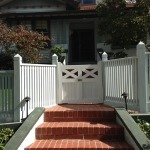 Railway-style gates by Blackwood Country Gates. 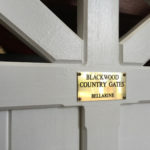 All Blackwood Country Gates gates are handmade at our premises. 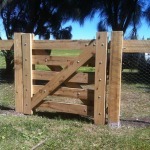 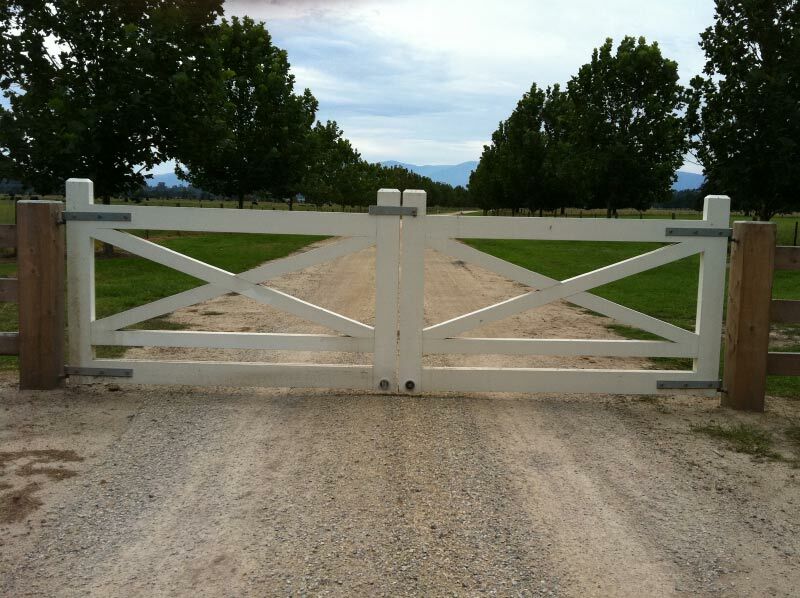 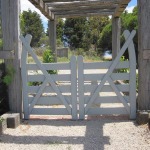 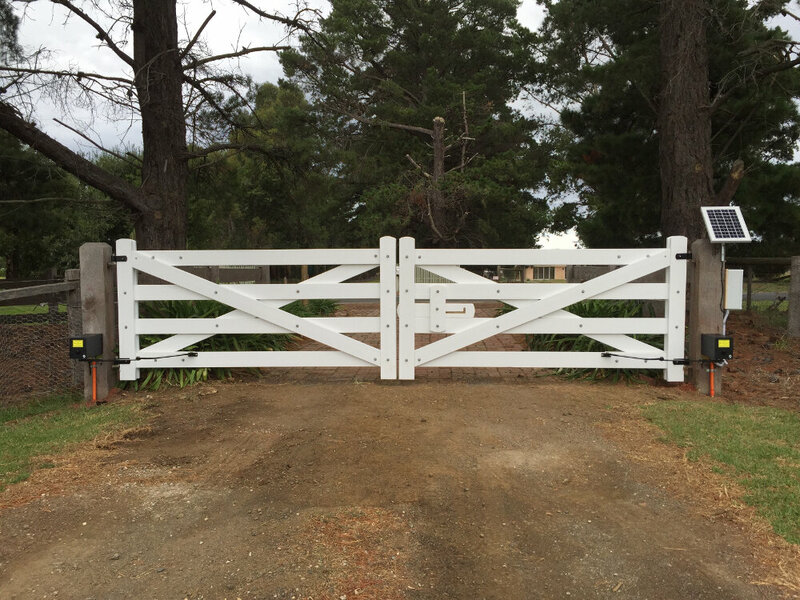 The typical layout for gates from Blackwood Country Gates. 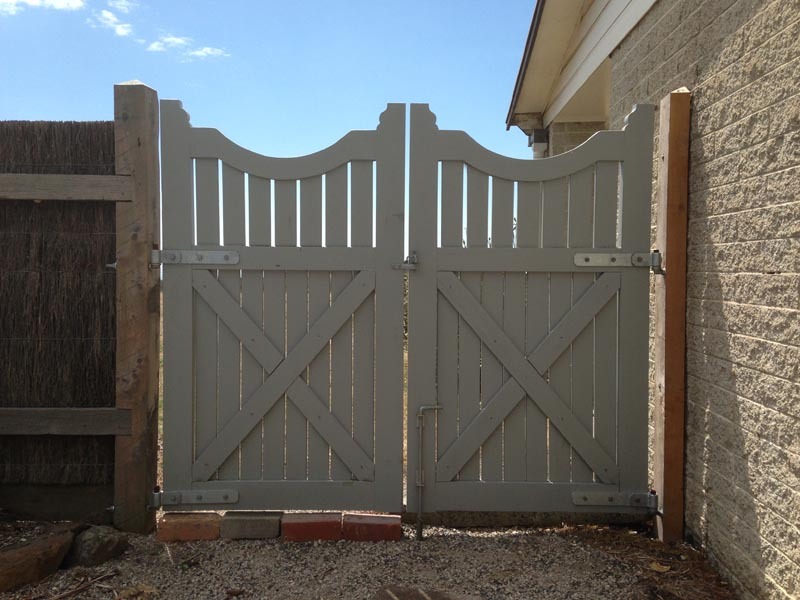 Our gates are both practical and appealing. 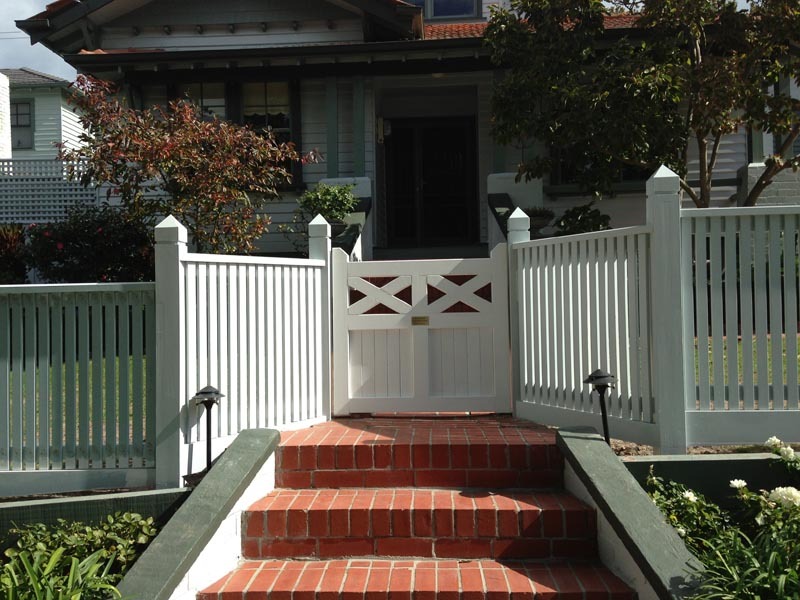 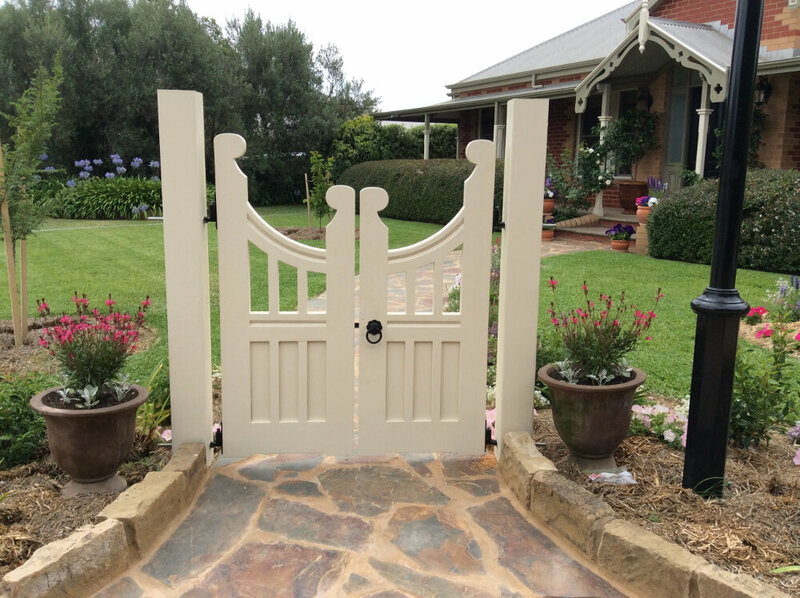 From solid curved-heel gates to decorative heritage scroll-top gates, we have a style in our extensive repertoire that will suit your needs and add character to your property. 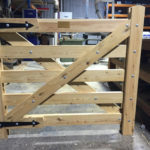 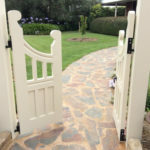 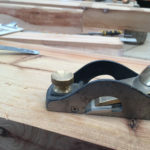 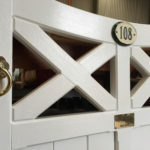 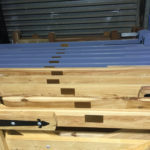 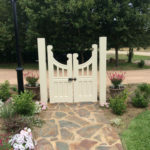 And whatever gate you select, you can be confident it will be made to a high standard, from the blind mortise and tenon joints we craft, to the two-part epoxy resin glue we use for added strength, to the surface finish. 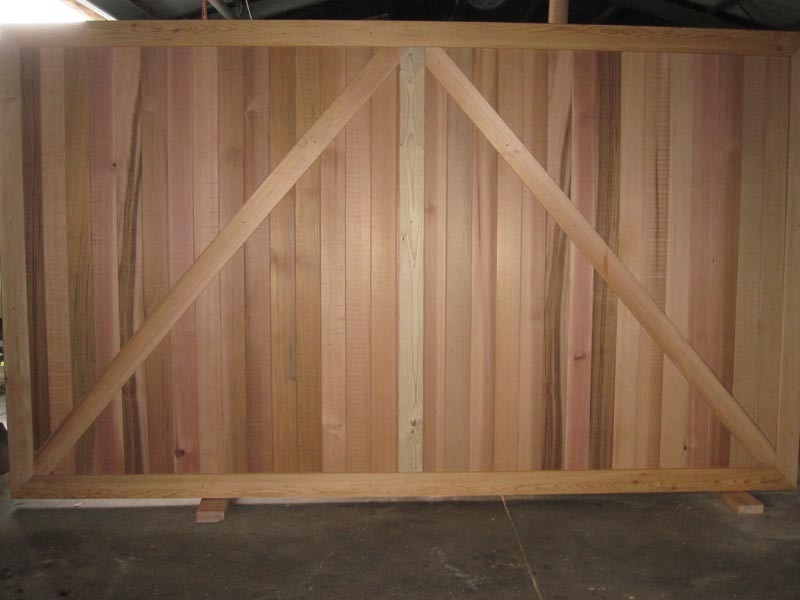 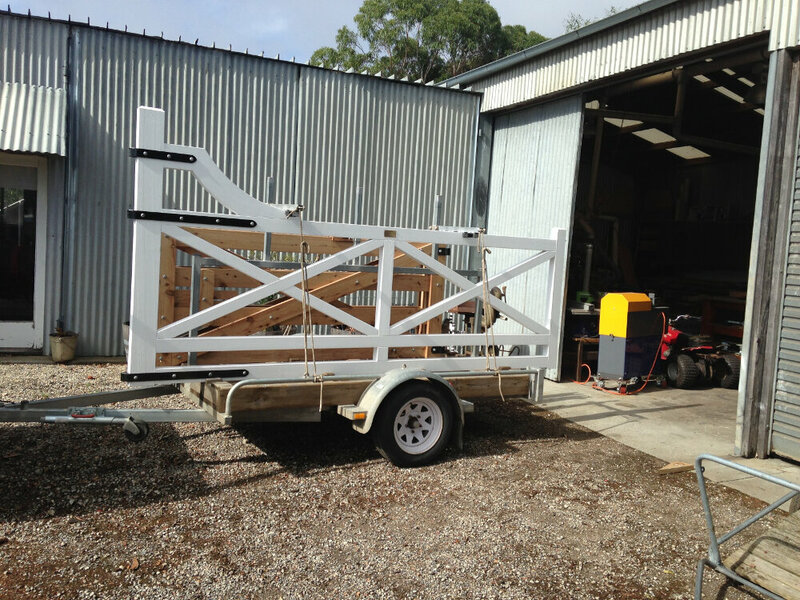 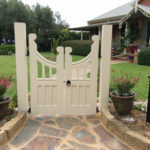 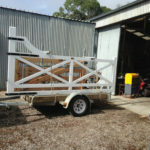 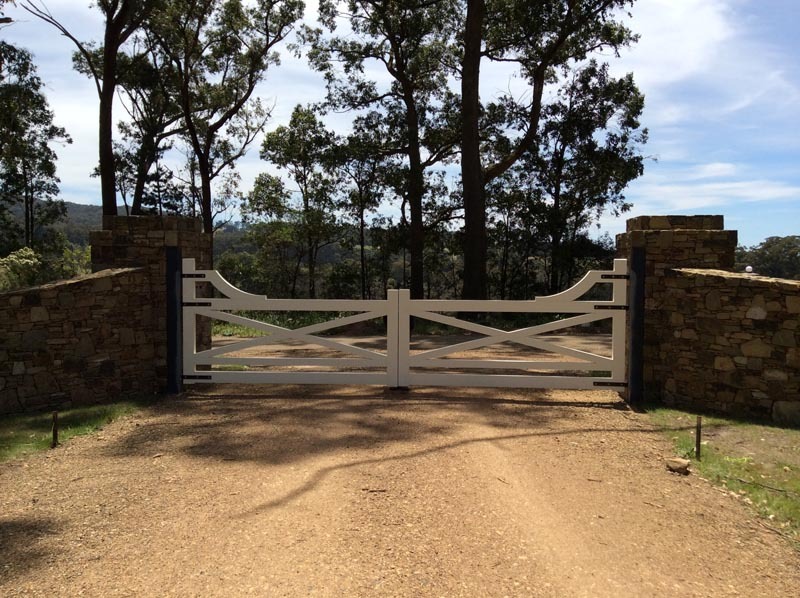 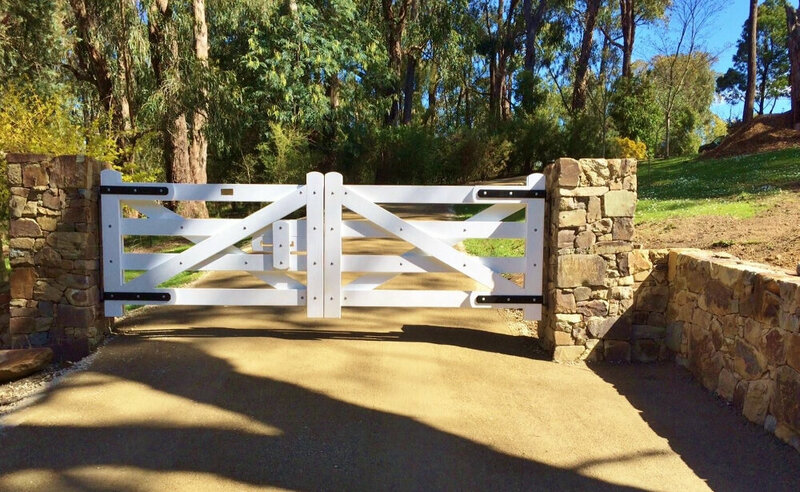 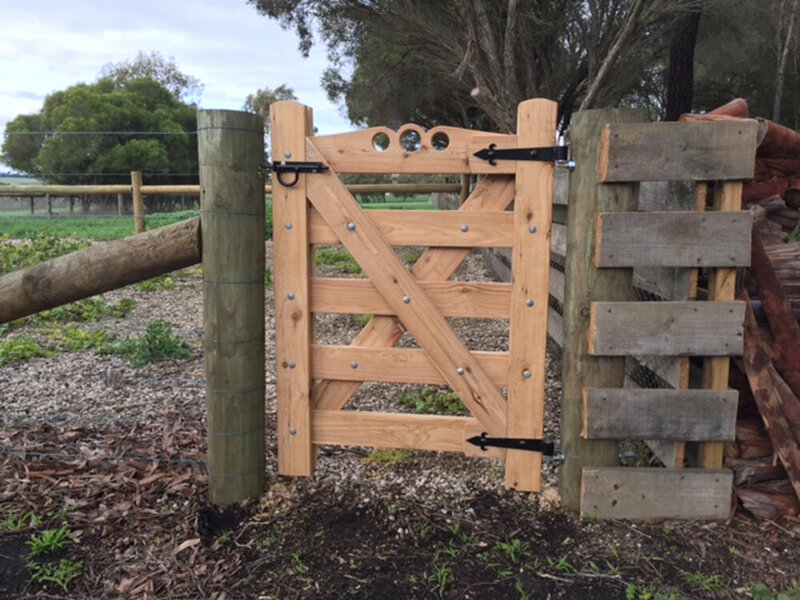 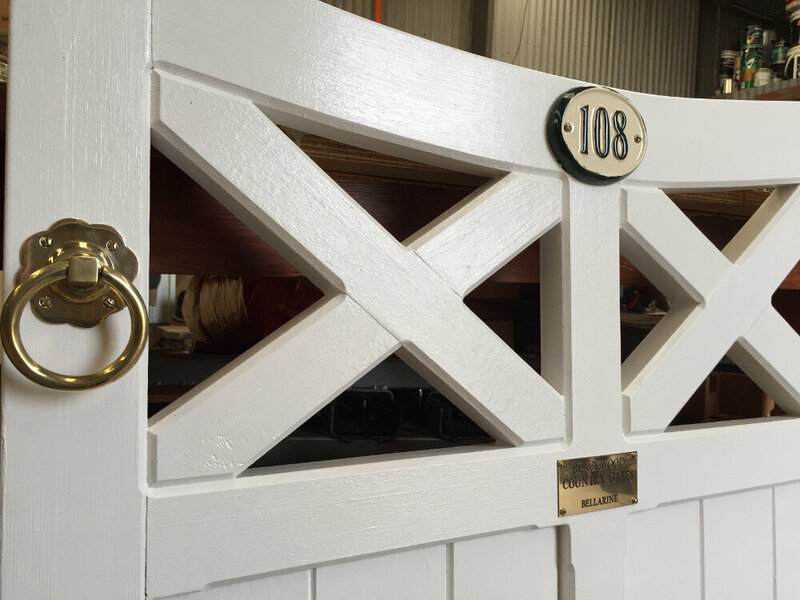 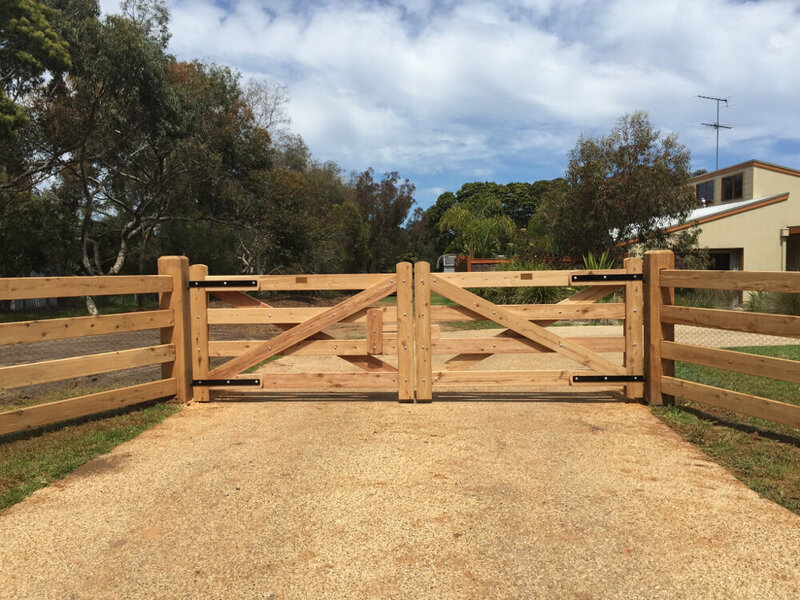 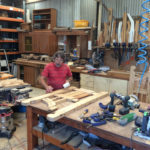 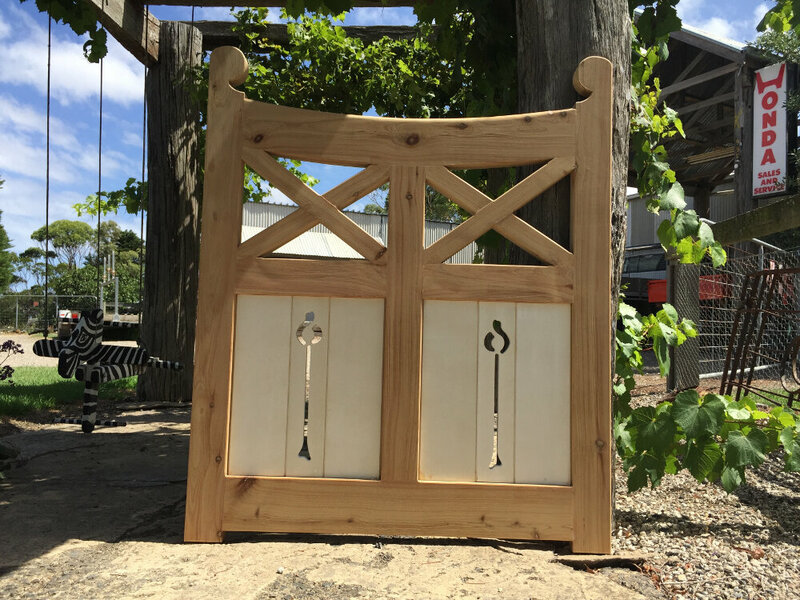 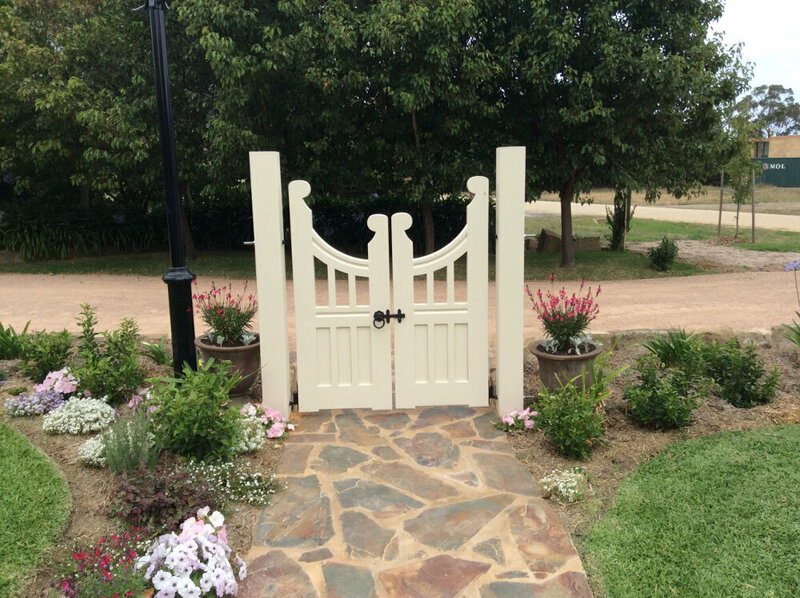 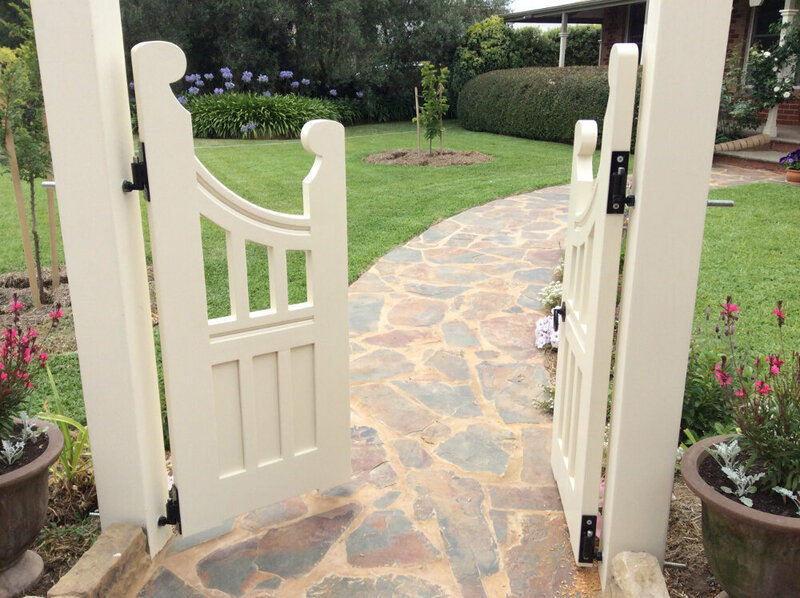 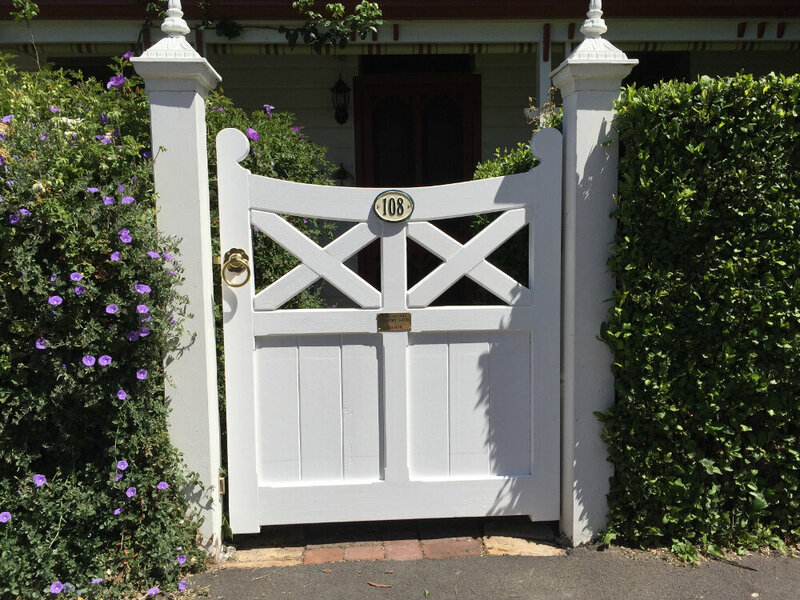 From our manufacturing hub in country Victoria, we offer tailor-made timber gates to suit the exact measurement and style you seek. 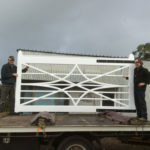 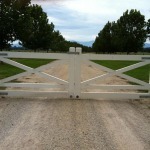 We will even make gates to a client’s own design. 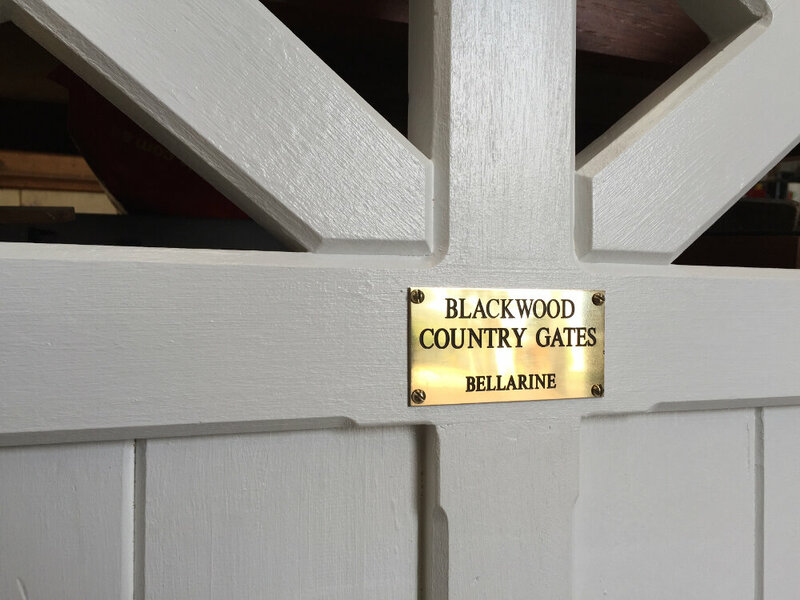 Or you might find exactly what you’re after within the wide selection we’ve lovingly designed and crafted at Blackwood Country Gates. 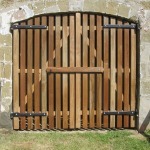 It’s also possible to adapt our stock to your needs and all gates also come with the necessary hinges and hardware. 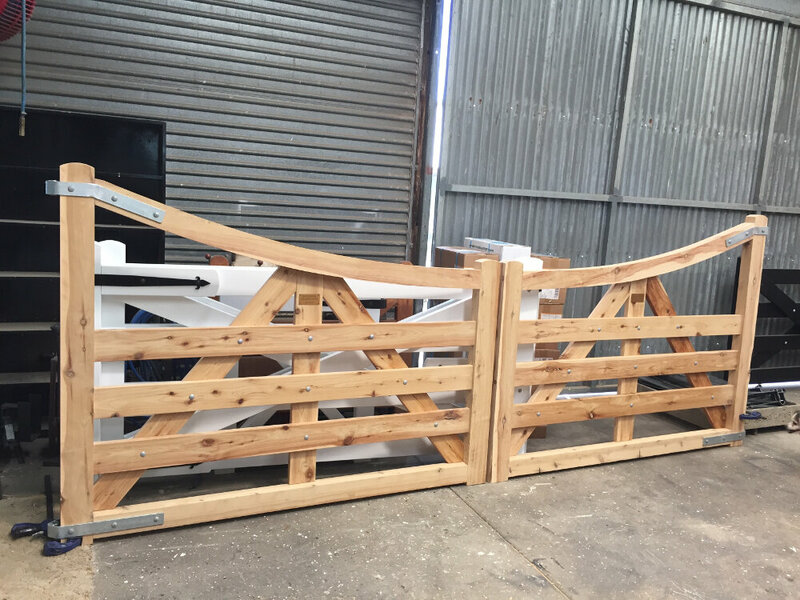 Our gates can all be fitted with an automated opening system for convenience – solar or mains powered. 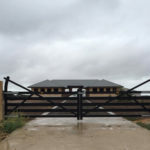 We can supply and fit automated systems at the customer’s request. 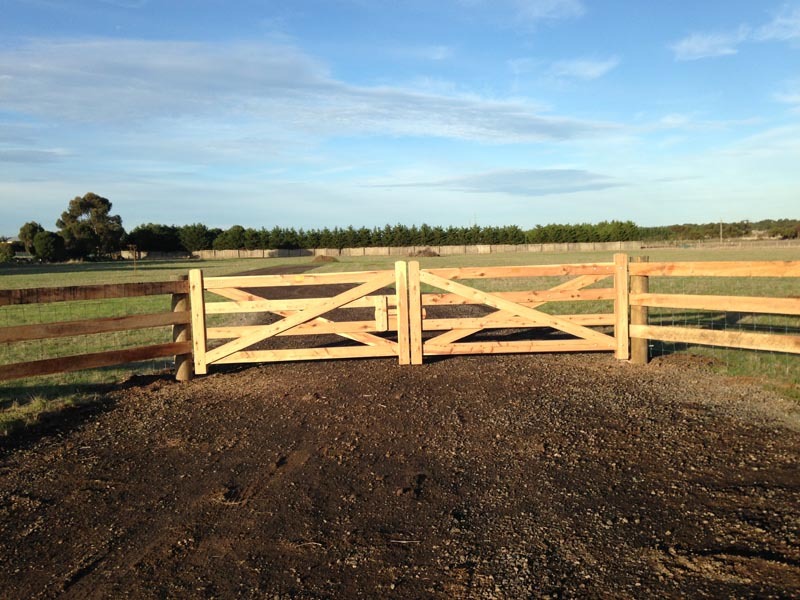 While we love building new gates, it’s not our only passion. 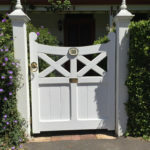 The chance to bring old time-worn gates, which have served for scores of years, back to life is a joy. 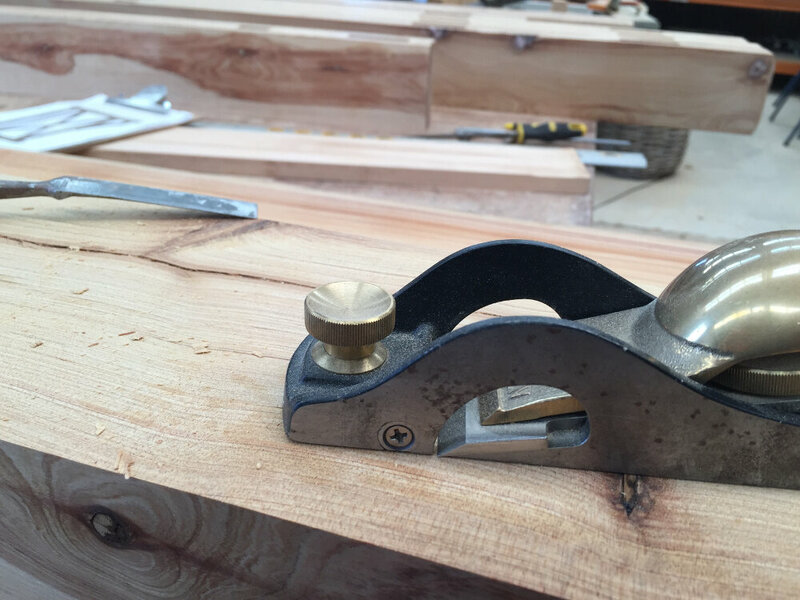 We get great satisfaction in our restoration work and always hunt out sympathetic timber to use in the process. 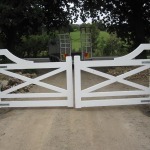 We can also make replicas if the client wishes. 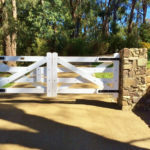 Contact Blackwood Country Gates to find out more about our extensive product range including barn doors, curved heel gates, custom-made gates, double cross bolted gates, diamond gates, driveway gates, entrance gates, garden gates, handmade gates, heritage scroll top gates, mortise and tenon gates, pentille gates, picket gates, railway gates, reproduction gates, rural gates, shed doors, single cross gates, single cross bolted gates, timber gates, Tudor gates, unique gates, and wooden gates.